Sony RX100 IV Philip Bloom Short Film! Renowned filmmaker / DP and all around nice guy Philip Bloom has been having fun with both the Sony RX10 II and RX100 IV this past few days. He has tested the slow motion and 4k modes extensively and has done a fantastic rundown of the usability, performance and pitfalls on using the cameras. There are a lot of interesting tidbits that He discovered such as the 240fps NTSC and 250fps PAL modes are nearly HD in quality and extremely usable very close to what the much more expensive Sony FS700 camera achieves. Sony RX10 II and RX100 IV New Footage Surfaces! Over the past week some footage from Sony and other real world uses has been surfacing. Many shows off the super slow motion modes and others tout the performance in 4k. The quality is for the most part good but not great and shows a clear aliasing and moire resolution loss at 480fps and 960fps. The codec at 50 Mbit is quite good and is not the weak link, the cameras suffer from line skipping as the readout frame rate increases to below 720p resolution in real terms while being saved on a 1080p wrapper. Samsung NX500 & Sony RX100 IV Samples! 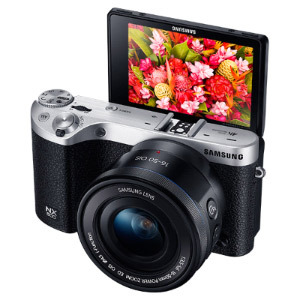 The Samsung NX500 has just been updated with firmware 1.10 There are several improvements and like it’s larger sibling the NX1 now the slow motion mode of 120fps at 720p in this camera is more easily accessible. The NX1 has a better slow motion mode than the NX500 as it is 1080p Full HD instead of 720p but this camera is also much less expensive and has also 4k video. These enhancements add a lot of oomph to an already good pocket-able large sensor camera. 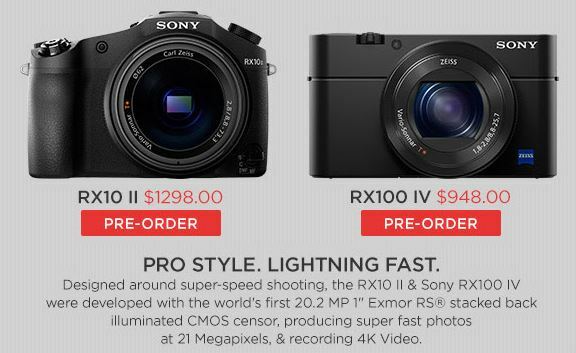 Sony RX10 II and RX100 IV ready for Pre-order! 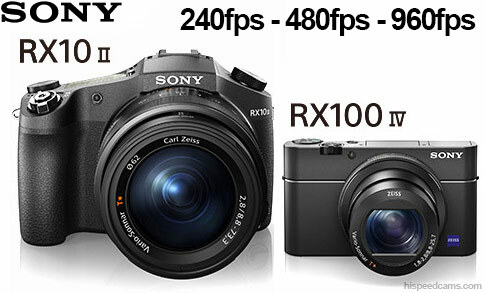 The recently announced Sony RX10 II and RX100 IV have just been released for Pre-Order. GH4 Shutter Mechanism in Slow Motion!